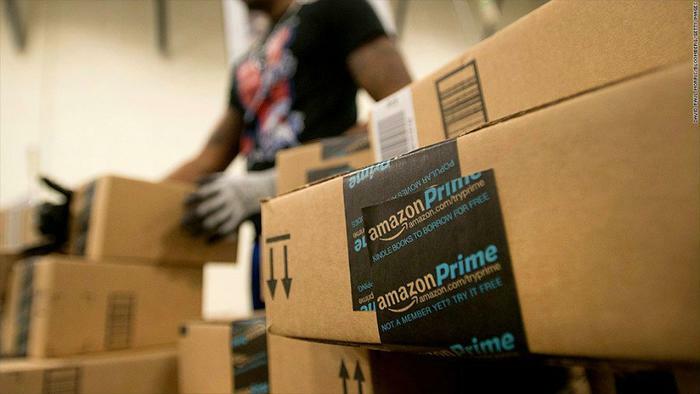 Amazon has banned multiple customers for returning too many items, according to a report from the Wall Street Journal. Amazon shoppers have received emails letting them know that their accounts have been closed due to excessive return activity. In a statement, Amazon said it’s rare for a customer to be banned for abusing their service over a long period of time. The site decides which shoppers to ban with the help of an Amazon algorithm. Problematic accounts that surface via the algorithm are reviewed by someone on staff. Terminated accounts are the ones that “cause headaches for Amazon,” a former Amazon employee told the Journal. Customer behaviors that may result in being banned include "requesting too many refunds, sending back the wrong items or violating other rules, such as receiving compensation for writing reviews,” the former employee said. “If your behavior is consistently outside the norm, you’re not really the kind of customer they want,” the employee said. Some users say the algorithm isn’t entirely accurate or fair. Amazon user Nir Nissim told the Journal he received an email in March stating that his account had been shut down without prior warning. A representative told him it was because of his return activity. However, Nissim said he had only returned one item in the past year. In many instances (Nissim’s included), customers whose accounts were terminated for making too many returns were able to have their account reinstated. However, they had to contact Amazon customer service and dispute the bans. Amazon isn’t the only retailer that tracks how often shoppers return purchases. Best Buy, Home Depot, and Victoria's Secret are among other retailers that engage in the practice and, in some cares, punish shoppers suspected of abusing their return policies. Tracking return activity helps “detect and deter potentially fraudulent consumers, while not impacting any others," according to The Retail Equation, a California-based company that keeps a list of customers' returns in reports. The company notes that fraud costs retailers up to $17 billion annually in the U.S.